DING! Round 2: Get your ideas in fast! 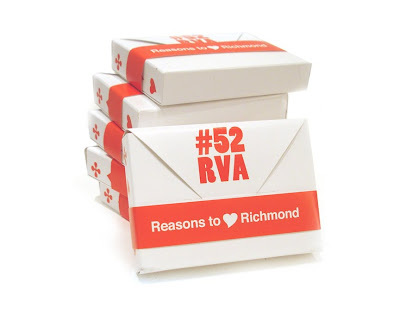 Follow @52RVA on twitter and submit your favorite things to do in Richmond. 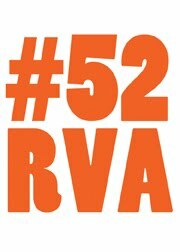 (Don't forget to tag your tweets with #52RVA)! But moving fast. We are keeping everyone stocked as best we can! Click here to buy! We're on Twitter. Follow us and see what's happening! It's Official! We have collected all of the feedback from our Twitter friends and compiled the list of the 52 best things to do in Richmond. Thanks to @HeyitsPhil for reaching out to all of @MidtownRVA's followers to help us along on this project. 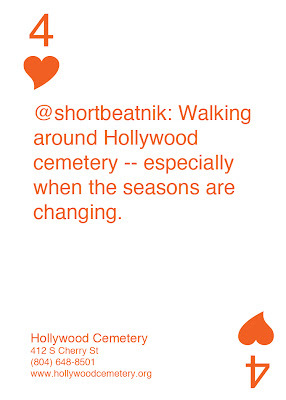 Here's a sneak peek of one of the cards! 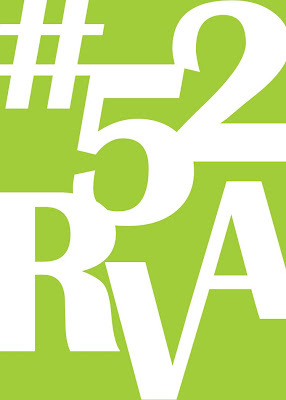 #52RVA is a community based project focused on spotlighting the best businesses and activities around Richmond, VA. 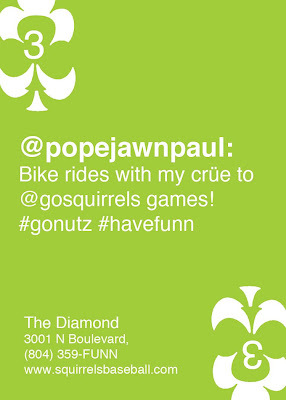 Suggestions were gathered in order to produce a deck of cards made up of the 52 most popular things to do in Richmond. The votes are in, and production of the cards is under way. Thank you to everyone who participated in making this project so successful!